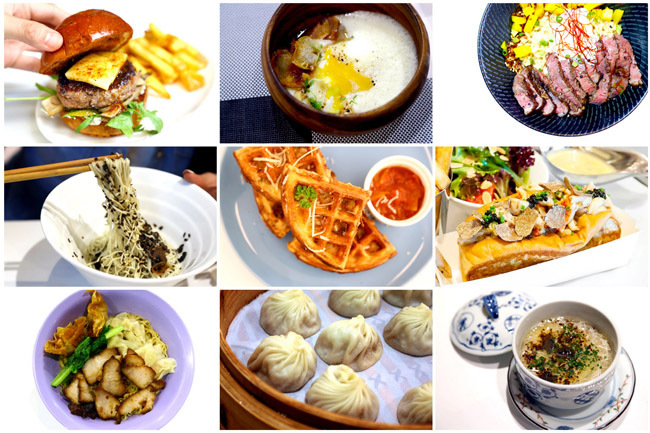 15 Must Try Truffle Dishes In Singapore – Truffle Waffles, Lobster Roll, Wanton Mee, Chawanmushi, Mac & Cheese! Normal fries at a hipster café $7. Truffle fries $12, which are essentially fries added with truffle oil. Of course the debate is that Truffle Oil is not even the real thing, a synthetic product made from thioether (2,4-dithiapentane). Yikes. 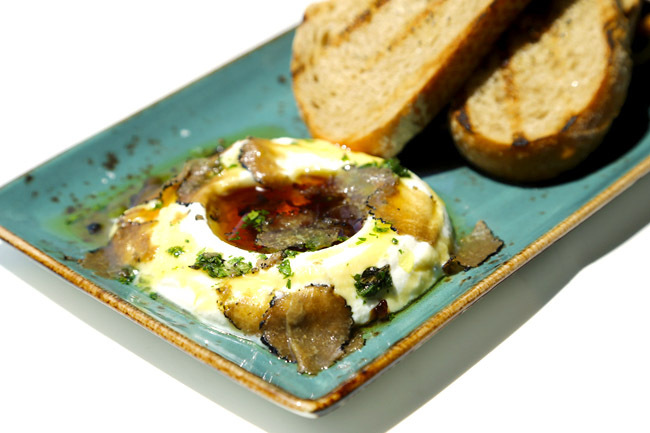 Real or not, good or bad, truffle dishes look like they will stay around for a while. Here are 15 of them, ranging from the most predictable ones such as pasta and pizzas, to ice cream, wanton noodles and chawanmushi. I was half expecting waffles ($12) to come served with a scoop of creamy mac & cheese on top (too predictable yah? ), so I wondered why the pieces came sans the topping. 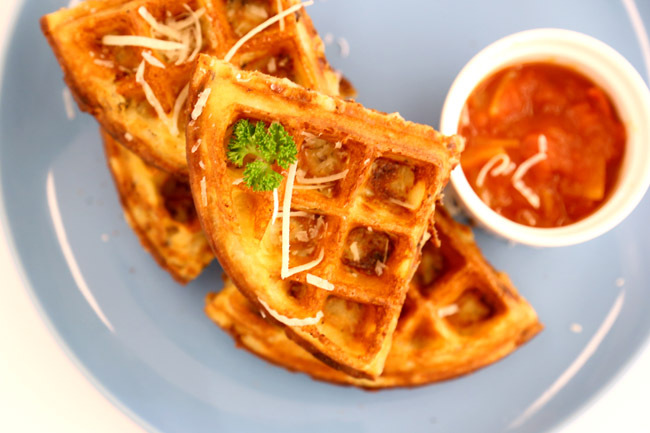 Oh, the mac & cheese were incorporated WITHIN the waffles. So as you take bites, you would find the inner layers soft and somewhat cheesy. I know this was carb in carb, but close your eyes to eat, and you might find this worth that extra run to burn the calories. 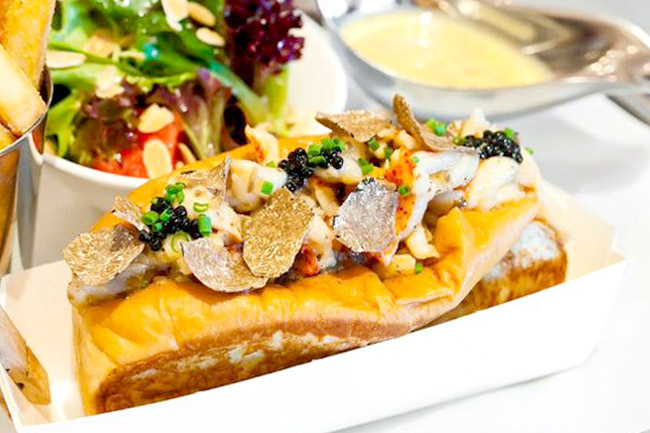 The Truffle Lobster Roll ($68++) is a variation of the signature Lobster Roll dish at Pince & Pints Restaurant and Bar. Never would I have thought that this would be one of my favourite items on the menu of Cook & Brew. What you get is a mash with sweet pumpkin-like taste ($12), with an unmistakable aroma of truffle cream. Recommended. Japanese-style rice bowls, comprising of sous vide meats, Australian brown rice, onsen egg, and pickles, all with minimal seasoning. 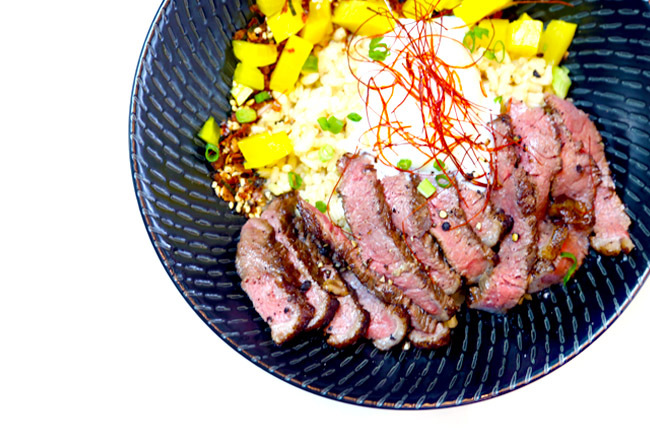 The Truffle Wagyu Don ($24.90) has sous vide wagyu steak seasoned with truffle salt and perfumed with black winter truffle oil. Opening hours: 12:00pm – 9:30pm. 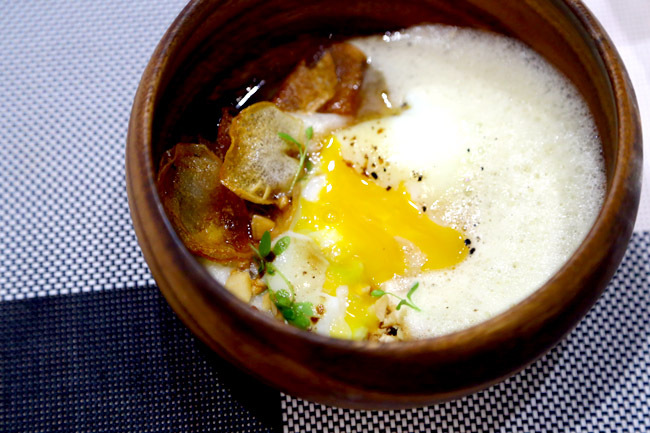 I hear that the Egg Confit & Truffle dish sent fellow food blogger RubbishEatRubbishGrow to tears, Pinkypiggu to exclaim it was “so so so awesome” (emphasize 3 ‘so’s). I didn’t cry or anything like that. I carried on eating. Yeah, it was a good dish. 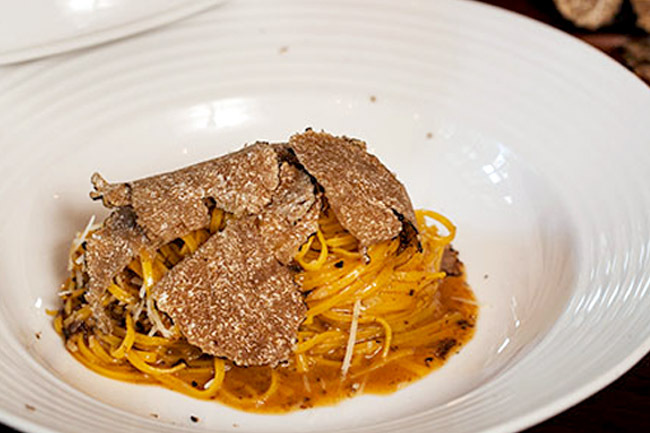 This family run Italian trattoria serves truffle-centric dishes, such as the Tajarin ($68 for fresh white, $38 for black truffles) with signature egg noodles. “$15? Shall I, shall I not?” The tummy won the mind in the decision-making of getting this Truffle Chawanmushi ($15++), added with prawn, crab meat and scallop. The steamed egg was extremely smooth, matched with a robust aroma the moment the lid is opened. On a I-feel-rich day, I would order this again. 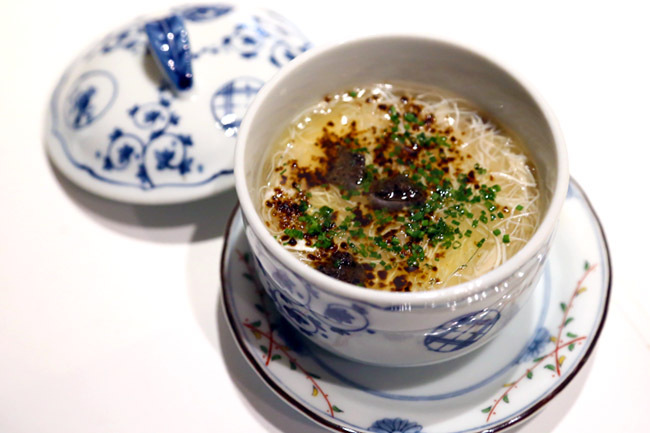 Okay, warning first: This Black Truffle Ramen ($16.90) may or may not be served. The 1st time the shop said they were not ready, on a return trip – this was it. 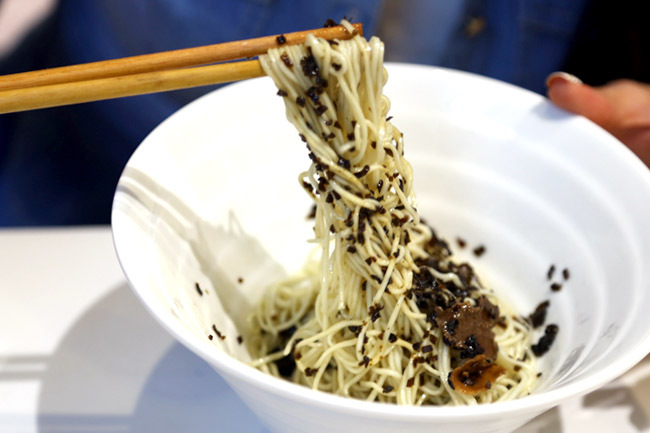 The ramen is a dry version, somewhat reminding us of angel hair pasta with truffle. Kanshoku wasn’t stingy with the truffle oil and black truffle bits AT ALL (maybe because boss happened to be there and recognised me LOL). A friend loved it and ta-bao more; while I thought the amount of truffle was overpowering and could be reduced a good 20%. 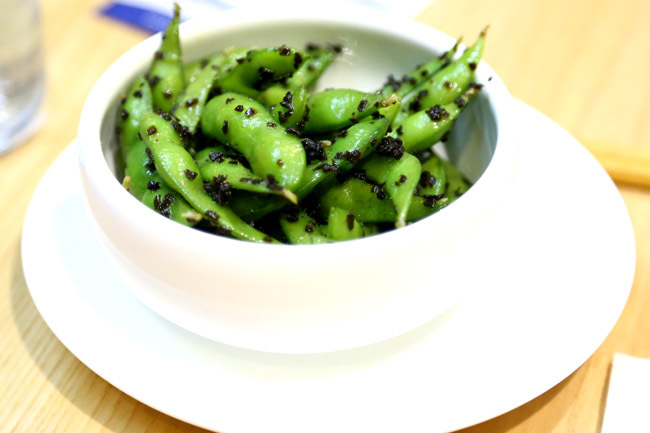 If the ramen is not available, there is always Truffle EDAMAME. Wah, humble local Wanton Mee with truffle ($6). Auntie sprayed some white truffle oil from Urbani Tartufi on the noodles with char siew and both soup=style and deep fried wanton, and the combination somehow worked very well. 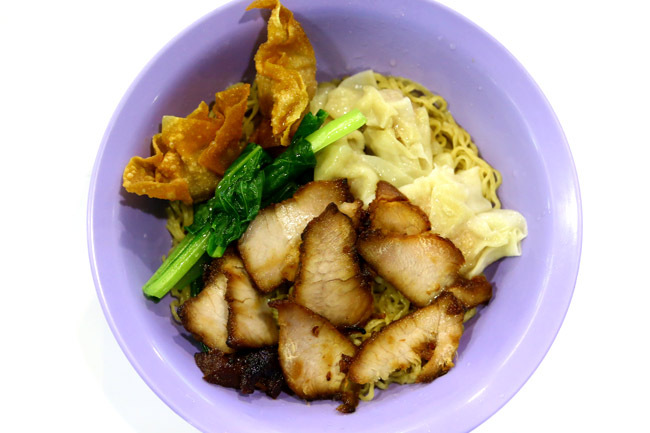 Pssssst… there is also Truffle Soft Pork Bone Noodles ($6.50) offered, don’t say I #bojio. 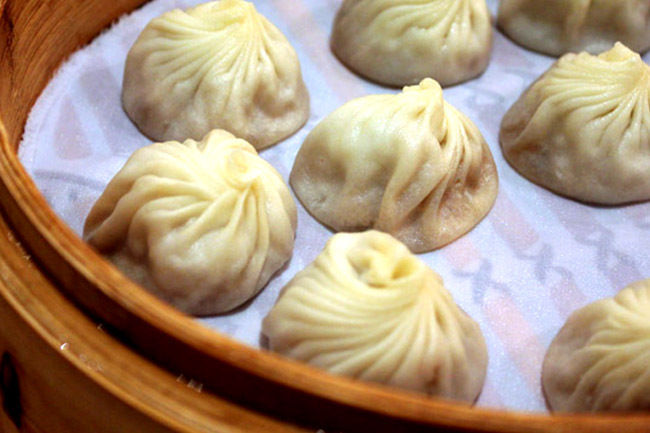 A modern rendition of DTF’s classic Xiao Long Bao. The Steamed Truffle & Pork Dumplings features black truffles with fresh pork wrapped in delicate skin, with robust broth and that distinctive aroma. 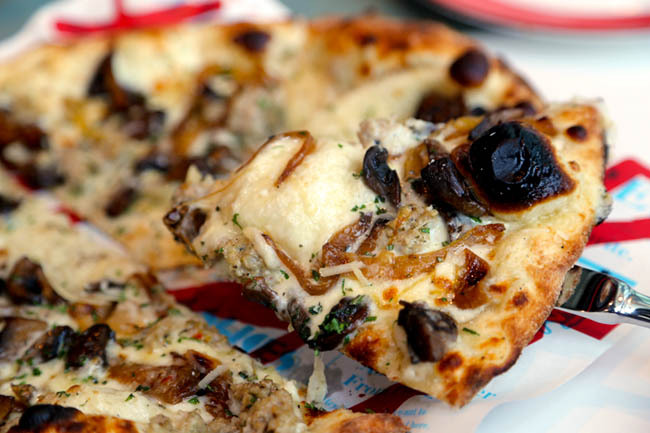 I could imagine many customers to liking the Truffle Shuffle ($14) best, a white sauce based pizza with fennel sausage, roasted mushrooms and onions, drizzled with aromatic white truffle oil. 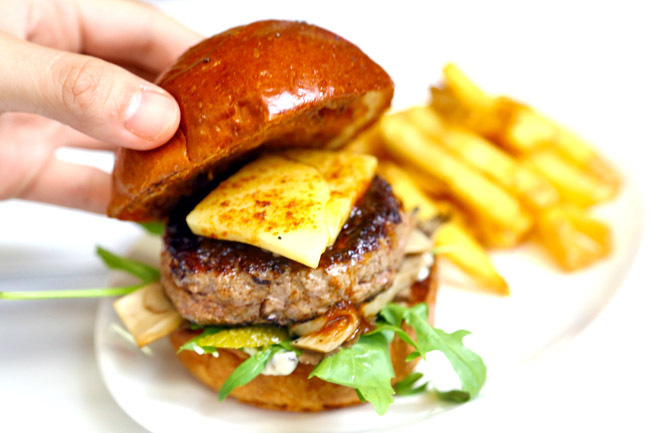 Are you salivating yet? You could jolly smell the fragrance between it arrived. I would say big is size, big on portions, big on ingredients, with an all-right taste. 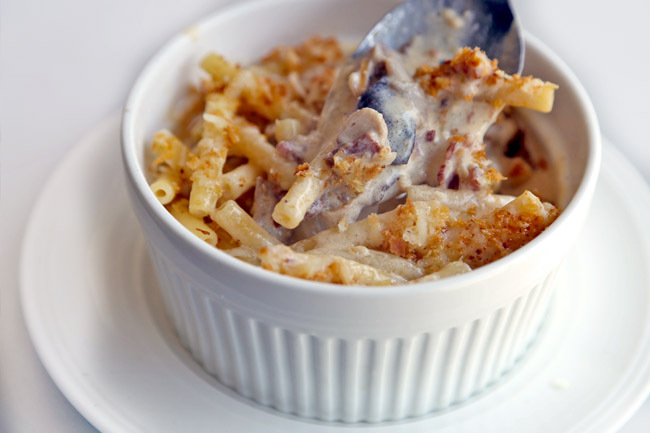 I can say “Take my money” for Ah Bong’s Mac & Cheese ($6 with truffle oil, $5 without), small yet filling bowl pulsating with rich strongly-flavoured cream sauce and shitake and bacon. If you want something light, this is not for you. Win already. 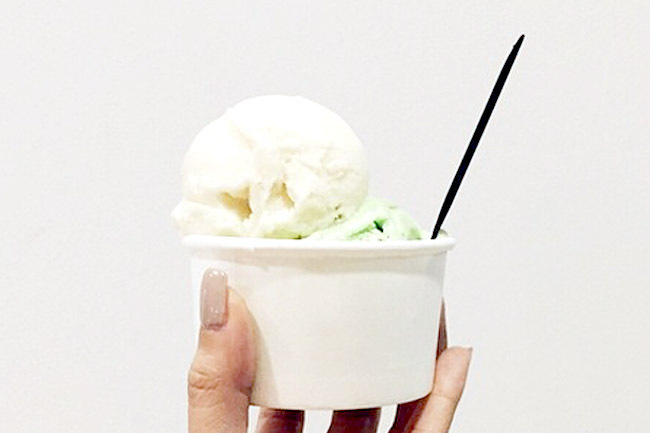 Milk based Truffle Ice Cream. What I realised after trying a few is that their flavours are quite pronounced and strong. Their White Truffle used to be more obvious, though I realised it was tamed a notch after a return visit. Try for novelty sake, otherwise, maybe the ‘normal’ flavours aren’t that bad.